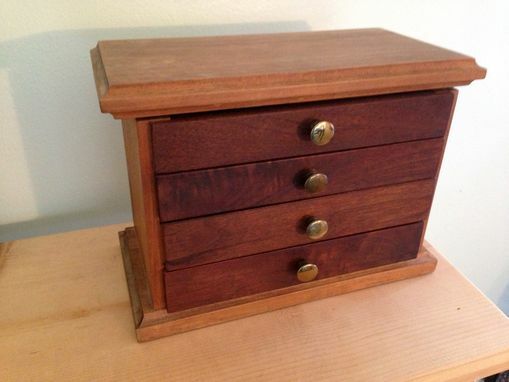 This small Jewelry Box is made from maple and walnut and has 3 drawers for storing jewelry. Additional storage is under the lid. The small brass knobs accent the Jewelry Box nicely. Have just received the jewellery box today. It's beautifully made. The maker has informed me about his work throughout the making.